The Here Hear show was only up until October 11, 2015. Our students will long remember the impact of seeing the work. 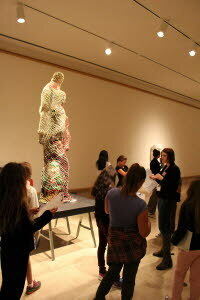 Below is a gallery of photos showing both the work and our students on a guided tour of the exhibit.